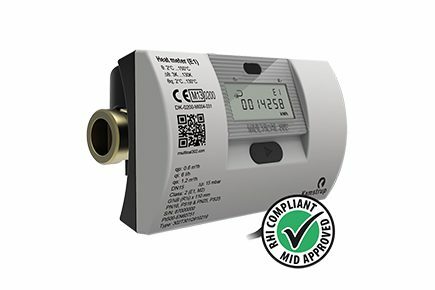 The minimal dimensions of the Kamstrup Multical 302 allow this RHI compliant and Mid Class 2 approved all-round heat and cooling meter to be installed anywhere. The meter can be turned during installation, in very compact systems too, enabling you to obtain optimal reading of the display at all times. The robust metal flow sensor endures up to 130˚C permanently, is effectively protected against condensation and can be used in both PN16 and PN25 systems. The flow sensor has been designed with Kamstrup’s unique ultrasound technique, which ensures extremely long lifetime – also in magnetite-containing heating systems.